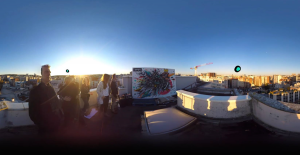 FOVE agency chose Digital Immersion to make the 360° timelapse of its new website and invites you to discover a colorful creation! The graphic identity of the agency being strongly turned towards the street-art, it is the Chilean artist Pipö Malpegados who had the chance to create the work that you find in the video. 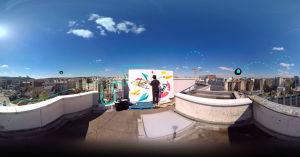 A graffiti made in less than 24 hours which allows you to admire it from sunrise to sunset! Note that this video has interactive hotspots that allows you to learn more about the agency.